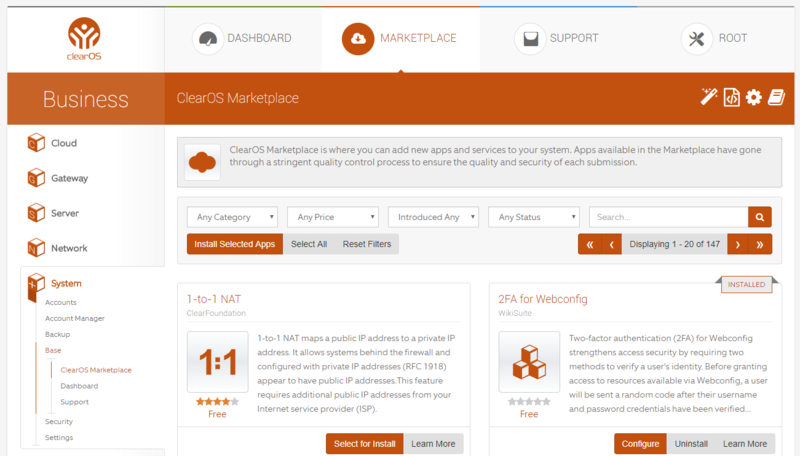 The ClearCenter Marketplace is a service that allows administrators to browse and search for apps compatible with the ClearOS 7 Webconfig and install them. 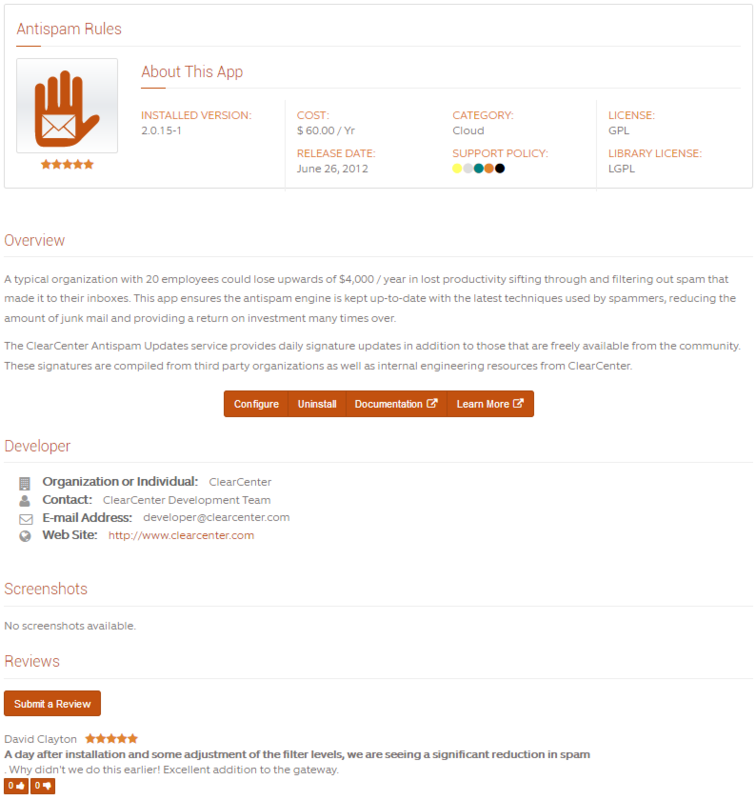 Apps are applications that have been specifically developed and integrated into the ClearOS webconfig user-interface that extends or enhances the functionality and/or security of a system. 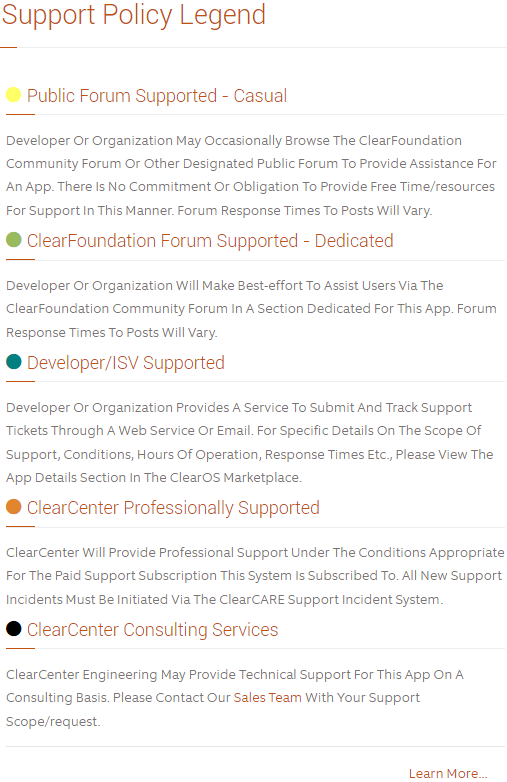 If you've ever played with a smartphone, think of the ClearOS platform and ClearCenter's Marketplace being analogous to the Android smartphone and the Google Play Store or Apple's iPhone coupled with the iOS App Store. 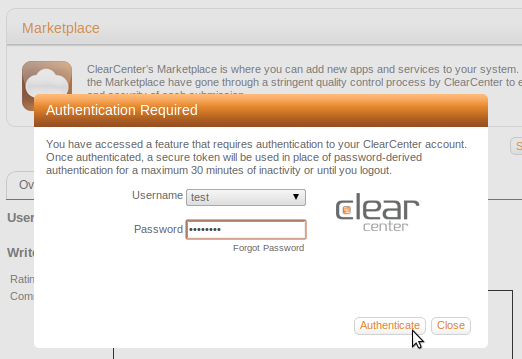 The system must be registered with ClearCenter to access the Marketplace. 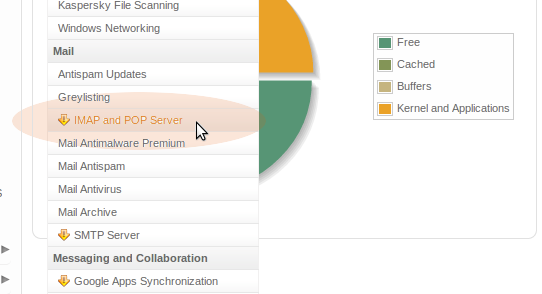 All apps are grouped together by one of six categories (Cloud, Server, Network, Gateway, System and reports). These categories form the basis of the menu system. button (depending on your Marketplace view) in the Marketplace will display details about an app that will assist an admin in determining if it is required.